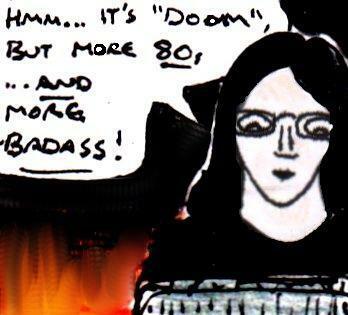 Well, although I usually try to review at least one “Doom” WAD a month, it’s been a while since I reviewed any gameplay/weapon mods for “Doom II”. I mean, I’d planned to review both “Demonsteele” and one of the more modern versions of “Brutal Doom” at some point, but I never quite got round to it. So, instead, I thought that I’d take a quick look at a rather badass mod called “The Trailblazer“. 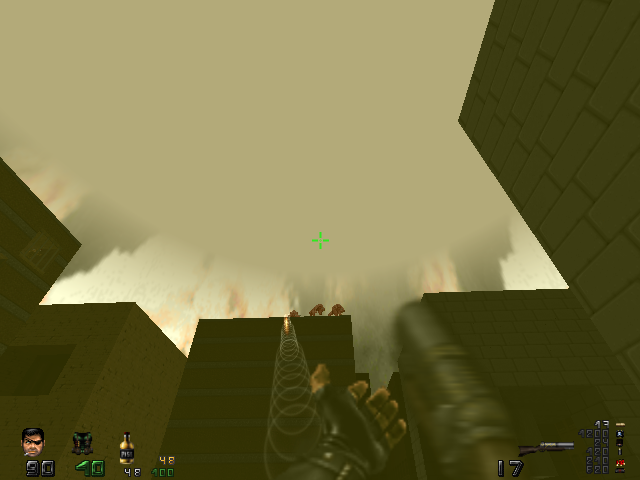 As usual, I used the “GZ Doom” source port whilst playing this mod, and the levels I used when reviewing this mod are just the ordinary “Doom II” levels (or, rather the first 11-13 of them). 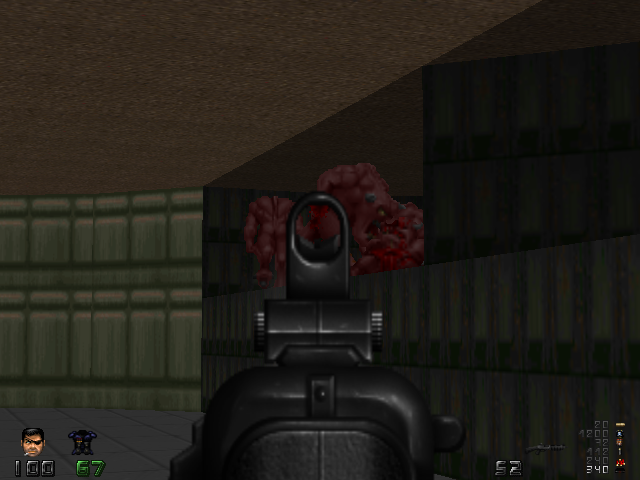 Although the site recommends using the very latest version of “GZDoom”, I was able to get this mod to work perfectly on version 1.8.10 of “GZDoom”. 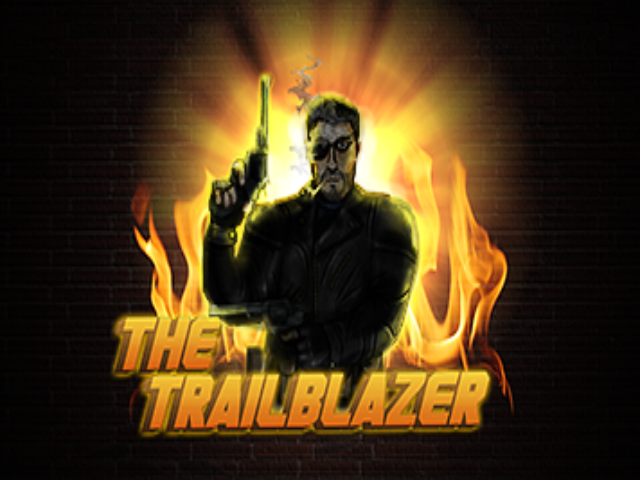 “Trailblazer” is a gameplay/weapon mod that is heavily inspired by old-school action movies. You play as a chain-smoking, eyepatch-wearing Snake Plissken-like action hero called Malcolm Striker who must take revenge on his nemesis Vladimir Vladimir….. by fighting hordes of demonic monsters. So, yes, this mod is pretty badass already. As befitting a badass 1980s action hero, Malcolm Striker has an impressive array of weapons available to him. These include a combat knife, a basic pistol, dual revolvers, dual sawn-off shotguns, a pump-action shotgun that can shoot fire, dual uzis, an assault rifle, a revolver that shoots explosive bullets, a grenade launcher, a minigun and a blunderbuss of some kind. This is the super shotgun replacement. It’s ACTUALLY a super shotgun, in the literal sense of the word ! Sigmund Freud probably has a few things to say about this gun…. But, who cares? There’s a revolver that shoots explosions!!! 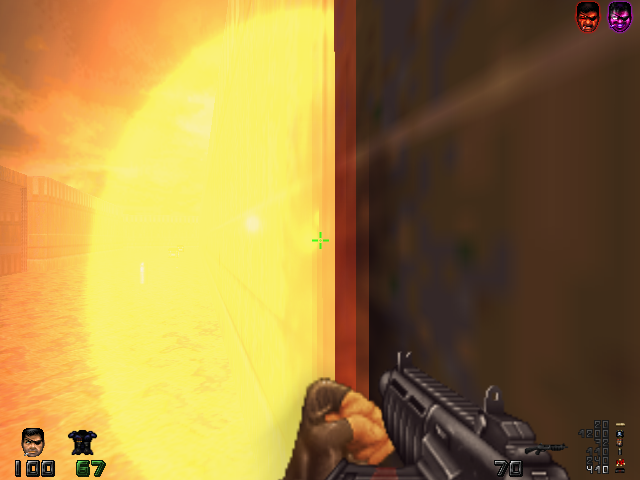 Most of the weapons also have an alternate fire mode too. 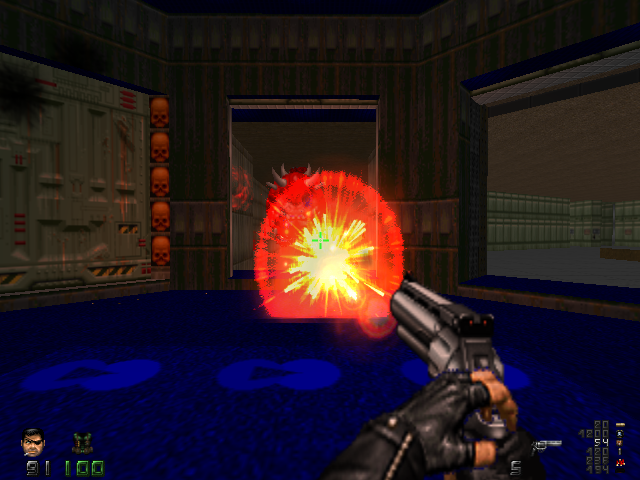 With dual-wielding weapons, the alternate fire just fires the gun in Malcolm’s right hand. 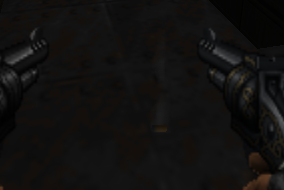 Likewise, with the basic pistol and the assault rifle, the alternate fire just switches to a “Call Of Duty”-style aiming mode. I didn’t really animate this very well but, yes, you can fan the explosive revolver! In addition to this, you also have a melee attack that you can use with every weapon. Although you’ll have to set the keys for this yourself, all it really does is make Malcolm Striker punch whatever is in front of him. All of these weapons feel satisfying to use and many of them either have fairly heavy recoils (that can knock you off ledges if you aren’t careful) or incredibly high rates of fire. However, this also means that many of the weapons (eg: the dual uzis and the dual sawn-off shotguns especially) are at least slightly overpowered. 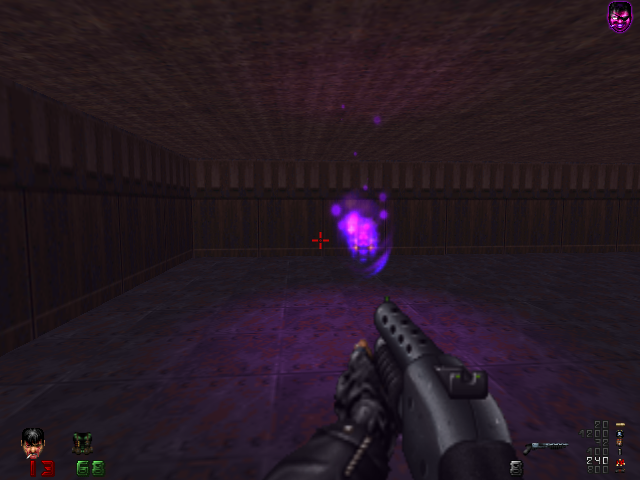 In other words, this mod actually makes “Doom II” slightly less challenging than it should be. Hmmm… it looks more like a bottle of lager to me…. And, yes, he does this when he’s holding two guns too. I’m not sure how he lights the next one, but somehow he does. All in all, “The Trailblazer” is a rather fun gameplay mod. 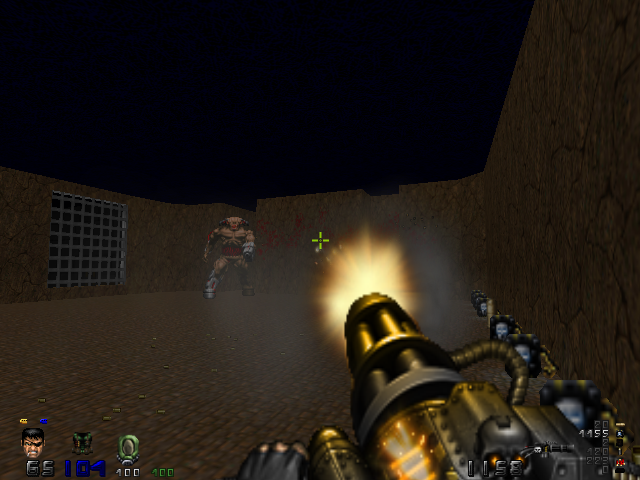 If you feel that “Doom” needs a bit more old-school badassery, then you can’t go wrong with this mod. 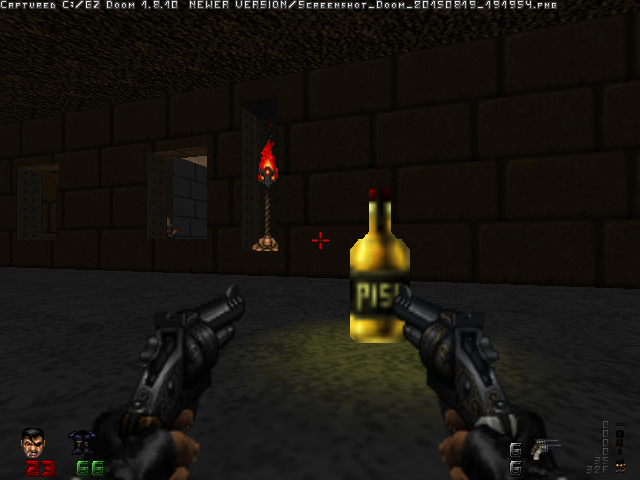 Yes, the novelty value wears off after a while and some of the weapons are a little bit overpowered, but it’s still a great way to add some extra fun to “Doom” levels that you’ve played many times before. If I had to give it a rating out of five, it’d probably get a four. 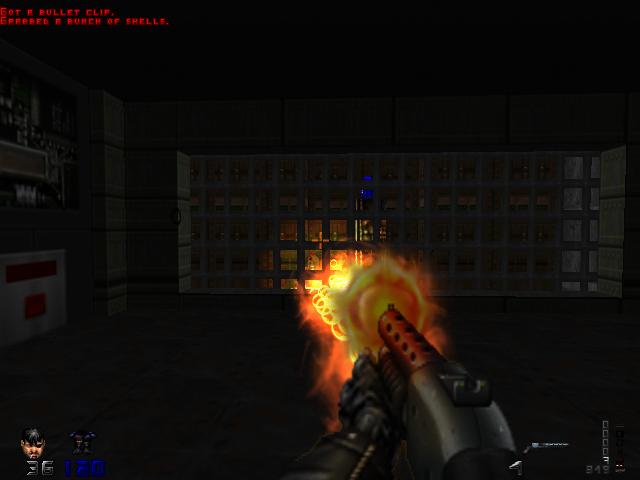 This entry was posted in Reviews and tagged Doom II, Final Doom, GZDoom, mini review, mod, review, The Trailblazer, WAD.